Búfalo Leather Dye with color-boost formula. The liquid quickly soaks in to the leather and does not create layers. Available in a 25 ml bottle in black and brown. Clean the leather thoroughly (with acetone, petrol or alcohol) before applying Leather Dye. Shake the bottle and apply the liquid evenly with the integrated brush. Leave surface to dry. Before applying the liquid a second time, the first layer needs to be entirely dry. 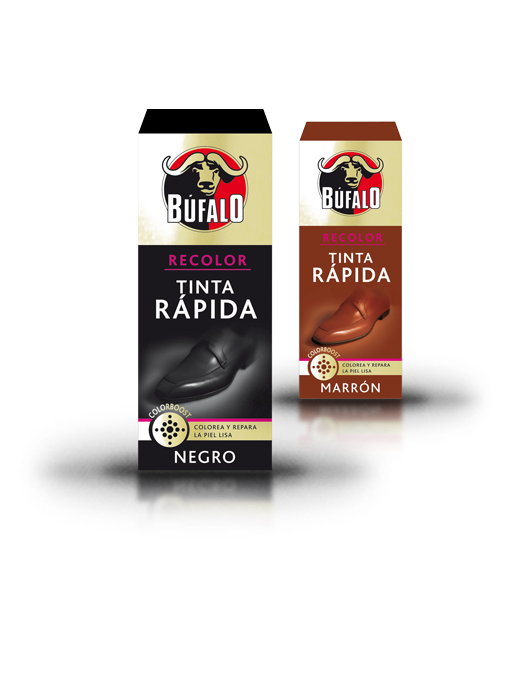 For a maximum of care and shine apply Búfalo Fine Shoe Polish. Do not use on nubuck leather.